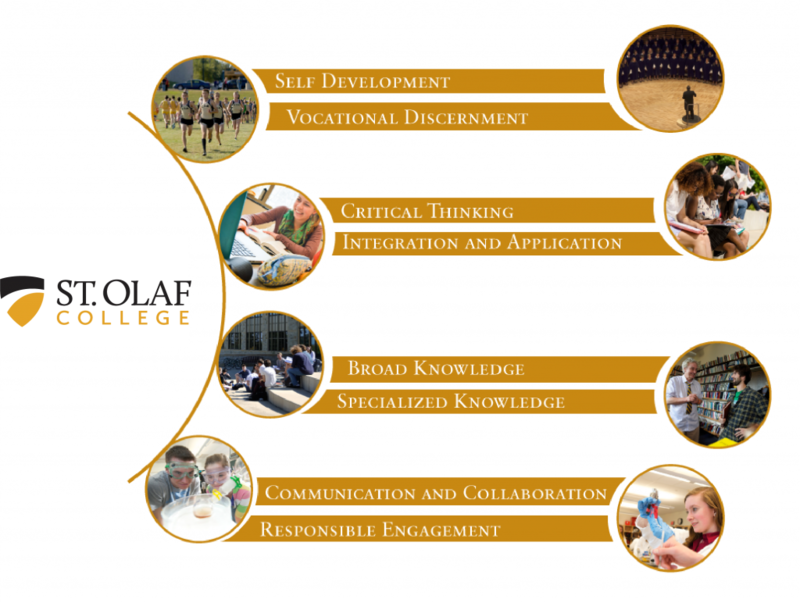 A St. Olaf education embraces the entire undergraduate experience. Students learn not only in the classroom, but also in residence halls, rehearsal rooms, practice fields, worship services, student employment, and community organizations. These diverse learning opportunities work together to help students achieve a comprehensive set of college-wide learning goals (“STOGoals”), no matter what major, General Education coursework, off-campus programs, or co-curricular experiences they may choose. The Office of Institutional Research and Effectiveness gathers evidence every year concerning these college-wide student learning outcomes, with a mix of direct evidence concerning students’ knowledge, proficiencies, and values, and indirect evidence concerning students’ experiences, perceptions, and attitudes. To learn more about assessment at St. Olaf, visit the Institutional Research and Effectiveness website.